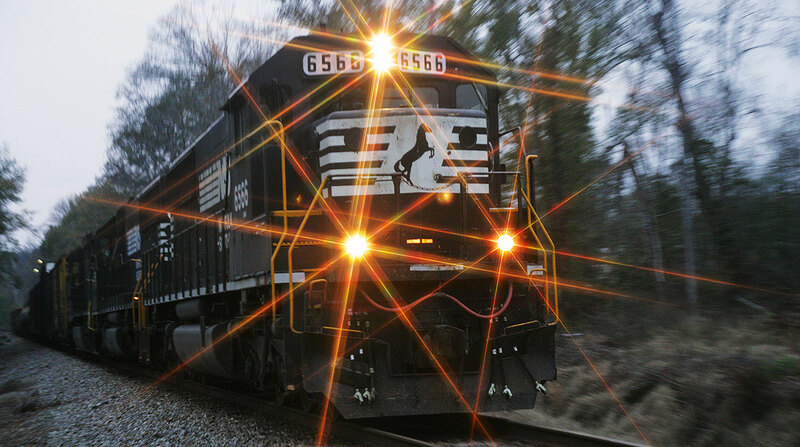 Norfolk Southern Corp. on July 25 reported record second-quarter earnings. The Norfolk, Va., company’s net income reached $710 million, up 43%, compared with $497 million in the year-ago period. Diluted earnings per share were $2.50, compared with $1.71 last year, an increase of 46%. Norfolk Southern said railway operating revenue was $2.9 billion, an increase of 10% compared with $2.63 billion in 2017. Overall volumes were up 6% in all three major commodities categories: intermodal, coal and merchandise. The company’s second-quarter operating ratio fell to a second-quarter record of 64.6 from 66.3. Operating ratio, or operating expenses as a percentage of revenue, is a key industry metric. Norfolk Southern said second-quarter railroad operating expenses climbed to $1.87 billion from $1.74 billion in 2017.